A-Box have accrued a reputation for creating unique geek boxes for the discerning geek, which include collector’s items not found anywhere else. 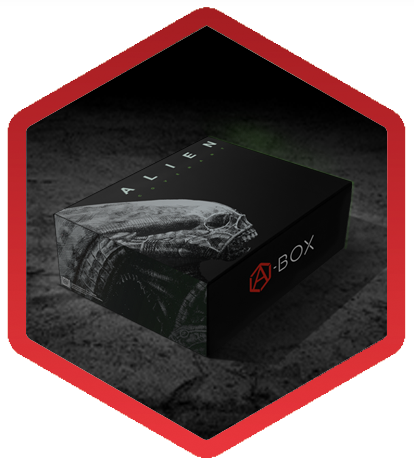 Celebrating the release of Alien: Covenant, which might not be as great as Aliens, but is still not as bad as Prometheus or Alien vs Predator: Requiem, A-Box will be releasing their Alien: Covenant box. These limited edition boxes contain specimens not found anywhere on earth. These include a “cringeworthy” t-shirt, a “drool proof” hat (useful for Xenomorph goo), a complete pin-set, a dual-purpose keychain and “the ultimate life size replica”. No idea what they all are exactly – that is part of the surprise – but as this has been officially endorsed by 20th Century Fox, we know it will not just be some cheap tat, that some companies have fobbed is off with in the past. The price may be higher than others, but you get what you pay for, and in return you receive box worth nearly triple what you paid for. Even the box itself is a work of art (might want to hide it from the kiddies, though!). Needless to say, I have already put my order in.